The next time you walk through an airport to catch a flight, the Transportation Security Administration might have an extra eye on you -- even if you don't have a criminal record or aren't on any watch lists. The agency has acknowledged the existence of its "Quiet Skies" surveillance program, an added airport security measure designed to watch for potential signs of danger, first reported by The Boston Globe. 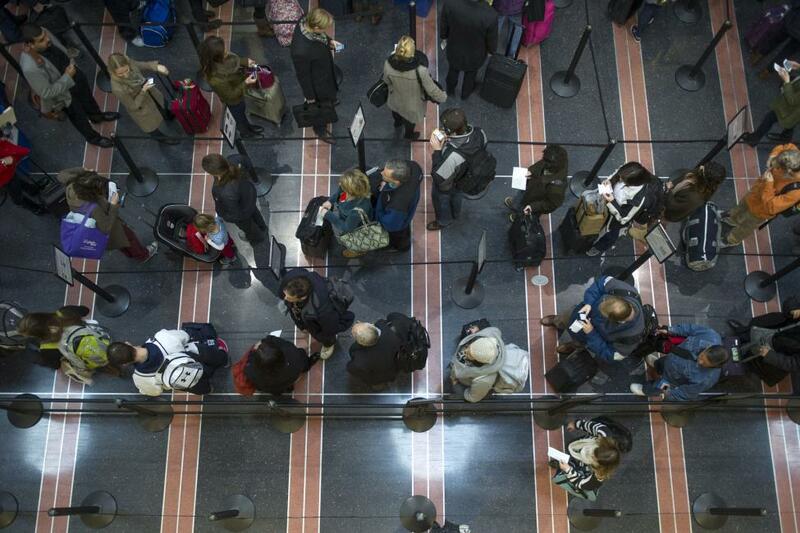 Michael Bilello, assistant administrator for TSA public affairs, told UPI the program uses an algorithm to observe travelers, including U.S. citizens, to identify a "pattern of travel" in passengers whose destinations and activities match intelligence on terrorism threats. [post_ads]This data is collected, reviewed by TSA personnel and combined with state, local, federal law enforcement information to determine whether the traveler may be a threat to flight crew and passengers. TSA personnel then refer any potentially threatening information to federal air marshals. Under the program, the marshals observe passenger activity in airport terminals, including who they talk to and their visits to airport restrooms. They also watch for signs of potential trouble -- excessive fidgeting, sweating, computer use and whether a passenger waits to board the plane last. Biello noted TSA agents are trained to look for passengers who may be acting erratically at TSA checkpoints, but observation ends upon exiting the checkpoint. "If the person were in the program, the air marshal would then begin observing them on the sterile side of the airport because they are trying to anticipate their next move, they're trying to determine if this person is a threat to aviation security," he said. Bilello said only a "very small" population of travelers are placed in the program and it's not intended to watch "ordinary Americans." "People who are law-abiding citizens, who don't have any ill intent or pose any potential threat to aviation are not even remotely considered for this program," he said. He added the program does not select passengers for observation based on race or religion. Although they are targets of extra scrutiny, the tracked passengers are not suspected of any crimes. Passengers who continue to fly without any "adverse incidents" for a period of time can be removed from the program. If a passenger is observed attempting to commit some type of attack or violent activity, or if some type of information or intelligence is discovered that would indicate they are a threat, they would remain in the program. "In order for us to prevent another 9/11-style event from happening we have to put these measures in place," Biello said. "Quiet Skies" has been in use since 2010 and airlines and Congress have been aware of it. The program also is subject to a system of "checks and balances," including robust oversight from legal experts as well as civil liberties and civil rights experts, Bilello said. Officials said the surveillance program is in use at most of the United States' busiest airports -- in Seattle, Minneapolis, Detroit, Boston, New York City, Chicago, Harrisburg, Pa., San Francisco, Philadelphia, Washington, D.C., Las Vegas, Charlotte, N.C., Phoenix, Myrtle Beach, S.C., Los Angeles, Atlanta, Houston and Miami. The program marks somewhat of a change in security for the TSA. Since the Sept. 11, 2001, attacks, it has placed air marshals aboard planes on higher-risk routes. Gathering intelligence on civilians not previously flagged as a threat has some saying the program might be exceeding the marshals' mandate. One air marshal filed a complaint with the Department of Homeland Security's Inspector General's office, calling the program a waste of effort and resources. "The Air Marshal Association believes that missions based on recognized intelligence, or in support of ongoing federal investigations, is the proper criteria for flight scheduling," John Casaretti, head of the Air Marshal Association, told The Boston Globe. "Currently, the 'Quiet Skies' program does not meet the criteria we find acceptable." The Globe report cited air marshals who said the program has, among other things, shadowed a businesswoman as she ventured through a Mideast hot spot, a Southwest Airlines flight attendant and a fellow federal law enforcement officer.